Donate Books, help others ! 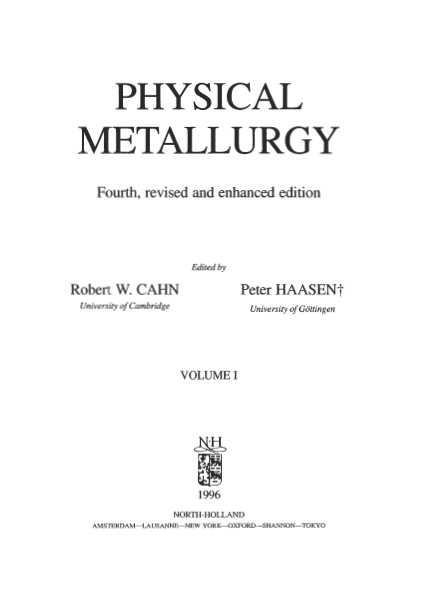 solutions or intermetallic alloys. Another reason for the study of “simple” element structures is that they are extremely helpful for the development and improvement of methods to understand why a given phase is adopting a particular crystal structure under certain conditions (temperature, pressure, etc.). The aim is, of course, to learn to predict the crystal structure of any given chemical compound under any ambient conditions and to model its possible phase transformations. It is remarkable that even pure elements can have rather complicated crystal structures resulting from complex electronic interactions. Most elements are polymorphous, i.e., they occur in up to ten different crystal structures as a function of ambient conditions (temperature, pressure). The understanding of the phase transformations in these homoatomic cases is also very helpful for understanding the more complicated phase transformations of complex intermetallic phases. Indeed, it is possible today to predict correctly most of the element structures and phase transformations by one-electron theory (SKRIVER ). which may approximately be considered as the sum of nearest-neighbor interactions. A further simplification comes in by the fact that only the electrons of the outer shells contribute to the chemical bonding. Traditionally, several limiting types of the chemical bond are defined: strong ionic (heteropolar), covalent (homopolar), metallic bonds, and weak van der Waals and hydrogen bonds. The strong bonds have in common that the outer atomic orbitals contribute to new collective electron states in the crystal, the electron bands. They differ mainly in the degree of localization of the valence electrons: when these are transferred from one atom to another atom, Coulomb attraction between the cation and the anion results and the bond is called ionic; when they remain localized between two atoms the so-called exchange interaction results from overlapping orbitals and covalent bonds are formed, when the valence electrons are delocalized over the whole crystal metallic bonding is obtained. Thus, contrary to the other bond types which also occur w i t h molecules, the metallic bond can only exist in large arrays of atoms. Since the interaction of electron orbitals depends on their separation and mutual orientation, the bond type may change during phase transformations. Sometimes, a slight change in temperature can be sufficient, as in the transition from metallic white tin to non-metallic grey tin below 291K (“tin pest”); sometimes very high pressures are necessary, as for the transformation from molecular hydrogen to metallic hydrogen, for instance. The type of bonding occurring in crystals of the metallic elements ranges from pure metallic in the alkali metals to increasingly covalent for zinc or cadmium, for instance. The structural implications of these two bond types, which are just two contrary limiting manifestations of electronic interactions with a continuously changing degree of electron localization, will be characterized in the following in greater detail. occupying the outer orbitals of the metallic elements is much smaller. 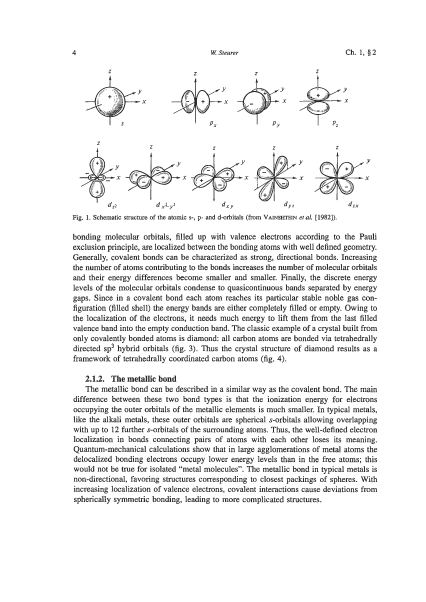 In typical metals, like the alkali metals, these outer orbitals are spherical s-orbitals allowing overlapping with up to 12 further s-orbitals of the surrounding atoms. Thus, the well-defined electron localization in bonds connecting pairs of atoms with each other loses its meaning. Quantum-mechanical calculations show that in large agglomerations of metal atoms the delocalized bonding electrons occupy lower energy levels than in the free atoms; this would not be true for isolated “metal molecules”. The metallic bond in typical metals is non-directional, favoring structures corresponding to closest packings of spheres. With increasing localization of valence electrons, covalent interactions cause deviations from spherically symmetric bonding, leading to more complicated structures. simplicity we shall consider mainly the binary alloys. The replacement of copper atoms by nickel on the lattice of pure copper is an example of a substitutional solid solution Since the two elements can be substituted at all proportions throughout the whole system, they form a contipluous series of solid solutions. If the solid solubility is limited to only nthose portions of the phase diagram which are linked to pure elements, the resulting phases are known as primary (or terminal) solid solutions. Such solutions have, of course, the same structure as the elements on which they are based. All other phases are usually known as intermediate phases; they may be called intermetallic compounds or valence compounds if their solid solubility is unusually restricted around a stoichiometric composition. Intermediate phases typically possess structures which are different from the structure of either of the component elements. If the size-difference between the component atoms which participate in forming a solid solution is sufficiently large, it may become possible on alloying for the one kind of atoms to be merely deposited in the holes (or interstices) between the other atoms on their space lattice. An interstitial solid solution is then formed. Such solutions can occur for example when nonmetallic elements such as boron, oxygen, nitrogen or carbon are dissolved in a metal lattice. suggests that complete randomness (like perfect crystallinity) is probably never found in nature. Hence, solid solutions which are in a thermodynamical equilibrium (ch. 5) may be considered to be truly homogeneous on a macroscopic scale, but they need not be homogeneous down to the scale where atoms are considered individually. will affect the existing electronic force fields between atoms, both short range and long range; the resulting effects will be of several kinds. On the atomic scale some atoms of the solvent and the solute will be shifted from the mean atomic positions on the lattice and thns suffer a permanent static displacement. The resulting average distance between any two neighboring atoms in a solid solution will depend on whether they are of the like kind, either both solvent or both solute, or of the opposite kind. We may thus talk of the average AA, BB or AB bond distances which may, even for an identical pair of atoms, depend also on the direction in the lattice. In addition to local displacements, the average distances between lattice planes may also change and we may talk of the change in the lattice spacings and, related to them, the volume of the unit cell. Both the lattice spacings and the volume of the unit cell are not related to the actual size of any particular atom. The relationship between lattice spacings, space lattice and the individual position of atoms may be summarized as follows: the space lattice represents a repetition in space of an elementary unit known as the unit cell (fig. 8). The lattice spacings describe the linear dimensions of the unit cell. To a certain extent a unit cell may be chosen quite arbitrarily so that, for example, in the face-centred cubic structure shown three different unit cells are possible - rhombohedral, face-centred cubic and body-centred tetragonal. The cell which reveals the essential symmetry is cubic; if the X-ray reflections are indexed according to this cell, then the lattice spacing a is associated with the average spacing of atoms located at the comers of the cube and is larger than the spacings between the neighboring atoms within the cube or in other possible unit cells. The a spacing therefore exceeds the closest distance of approach of atoms. In this section we will present the macroscopic and microscopic theories of diffusion. The former provides a description of the observed phenomena (which are fluxes), starting from the formalism associated with the thermodynamics of irreversible processes; one then obtains a formal expression of these fluxes as a function of thermodynamic forces and of parameters which are called the phenomenological coeflcients. 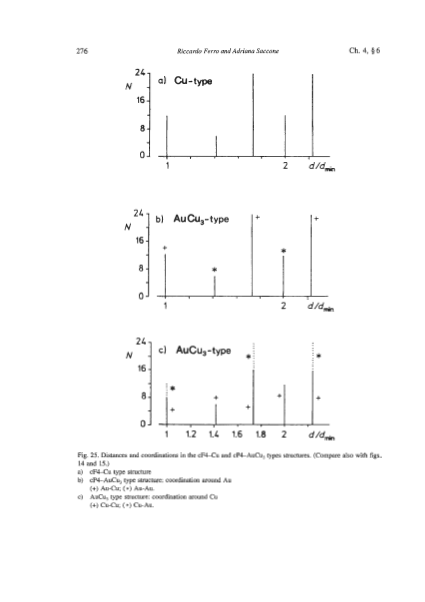 In the latter approach the fluxes are calculated by starting from atomic mechanisms. The parameters used in this case are the jump frequencies; they have a clear physical meaning, as opposed to the phenomenological coefficients which are only coefficients of proportionality. This step encompasses two parts: on the one hand the random walk modelling which starts with atomic jump frequencies and builds the macroscopic diffusion coefficient, and on the other hand the jump theory which defines the jump frequencies themselves from the very properties of the system and its defects. For both formalisms, however, a knowledge of the underlying atomic mechanisms is required in order to describe the diffusion phenomena properly. Thus we begin with a short review of the possible mechanisms. Finally we present briefly the modern simulation tools, the use of which is steadily increasing in diffusion studies. 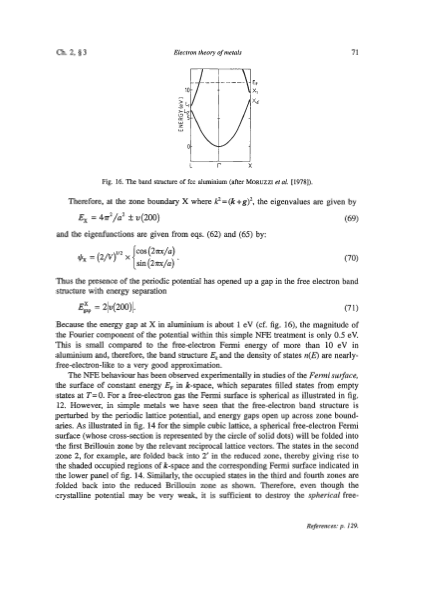 Introduction : In this chapter, we give a general view of the formation of the solid from its melt. This process is generally driven by the extraction of heat from the melt and the first section deals with heat flow during conventional casting, directional solidification, and rapid solidification processing. Next, the fundamentals of the freezing process are treated under the headings: i) Thermodynamics of solidification, ii) Nucleation, iii) Interface attachment kinetics, iv) Solute distribution for planar and nearly planar solid-liquid (S-L) interfaces, v) Cellular and dendritic growth and vi) Polyphase solidification. 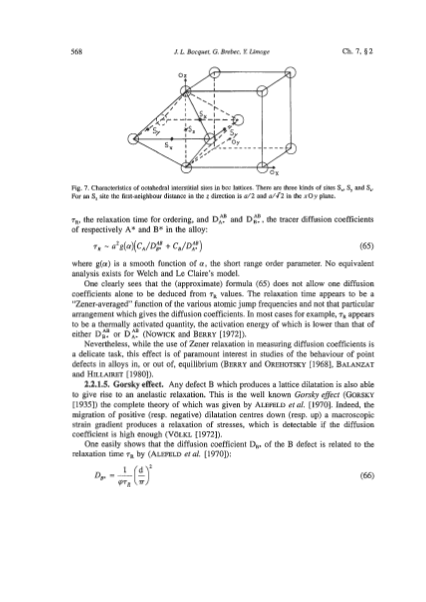 Subsequently, fluid flow and associated phenomena are discussed. 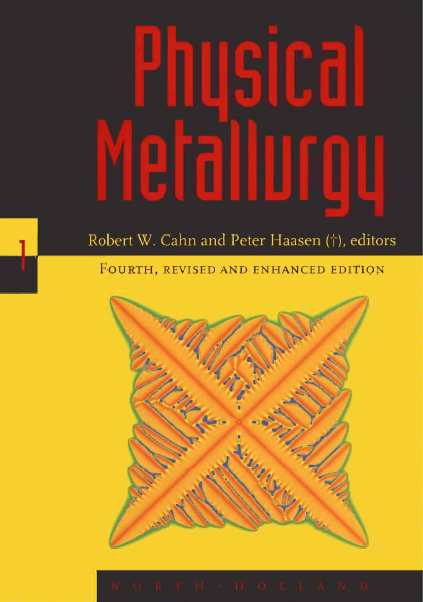 The last portion of the chapter deals with the application of these fundamentals to conventional and continuous casting, welding processes, manipulation of structure and new and emerging solidification processes. Rapid solidification is not treated separately, but is included in the headings above in an attempt to provide a general understanding of the solidification process as the solidification rate is increased. conditions for a simple geometry of solidifying metal. In different parts of the metalmould system heat transfer may occur by conduction, convection or radiation. The formal treatment of this problem involves considerable complexity as a consequence of the continuous generation of latent heat at the moving S-L interface, the nature of the S-L interface geometry which can be cellular or dendritic for alloys, and the variation of the physical properties of the metal-mould system with temperature. The major impediments to the removal of the latent heat are the solidifying metal itself, the metal-mould interface, and the mould. For these, the solidification process is primarily controlled by heat diffusion and Newtonian heat transfer across the mould-metal interface. Many numerical software packages are now available to solve the heat flow problem and are becoming more widely used to treat the complex shapes involved in industrial foundry applications.